Update: There’s also a smaller, less powerful version called the Moto G Play coming to the States with a 2,800mAh battery. It’s powered by a Snapdragon 410 processor, has a 5-inch 720p display, 2GB RAM, water repellent coating, 8MP rear camera, 5MP front snapper and 16GB internal storage (expandable to 128GB via MicroSD. Both the Moto G4 and G4 Plus share a number of features, but there’s enough different about the ‘Plus’ model to justify its name. 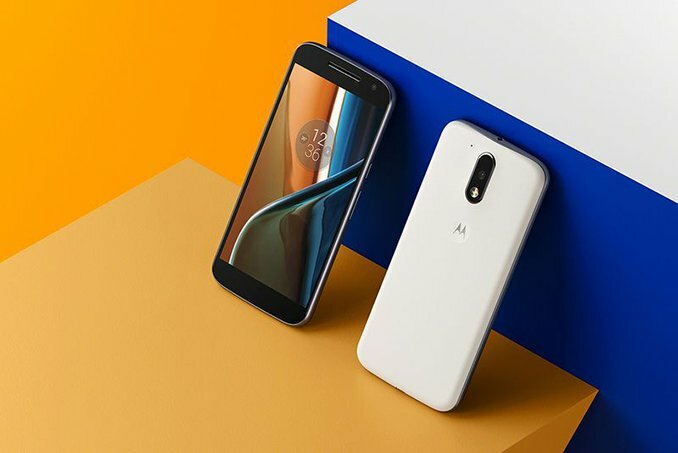 Starting with the similarities first: Both phones have a large, sharp 1080p screen on the front, making the jump up to full HD for the first time since the Moto G range was originally announced 4 years ago. They both also have the Snapdragon 617 chip inside to power them. Both phones are equipped with a generous 3,000mAh battery and have TurboPower support which can supply 6 hours worth of charge from just 15 mins plugged in. Sadly, only the Plus model comes with a TurboPower charger in the box. Other shared features include the 5MP front facing camera and the operating system which, in this case, is an almost stock version of Android 6.0 Marshmallow. Turning our attention to the G4 Plus, and it’s clear that this is the high-end version of the range. Firstly, it’s equipped with a 16MP camera with phase-detection autofocus (PDAF) and laser autofocus which combine to form Lenovo’s ‘Hybrid Focus’ system. Sadly, it doesn’t record 4K video but can manage 1080p. This camera, according to Lenovo, has been highly-rated by DxOmark, and comes alongside a camera app complete with Pro-mode, HDR and the usual Motorola interface. In comparison, the regular Moto G has a 13MP camera on the back with 1080p video capture. The G4 Plus is also equipped with a fingerprint scanner on the front, which the regular Moto G4 doesn’t have. Lenovo claims this fingerprint can recognize a finger, and unlock the phone in less than 750milliseconds. It’s slightly slower than the 600millisecond claim of the Nexus 6P, but you’re unlikely to notice in real life use. The Moto G4 Plus will be available in three variants: 2GB RAM/16GB storage, 3GB RAM/32GB storage and 4GB RAM/64GB storage. The Moto G4 has 2GB RAM and either 16GB or 32GB storage. All of them are expandable via MicroSD card. As for pricing, the Moto G4’s will be announced next month when it launches. The G4 Plus, on the other hand, will be exclusively available from Amazon India tonight and will cost Rs. 13499 (~$200) for the 2GB/16GB version and Rs. 14499 (~$225) for the 3GB/32GB model. Pricing and launch plans for other regions is yet to be announced. 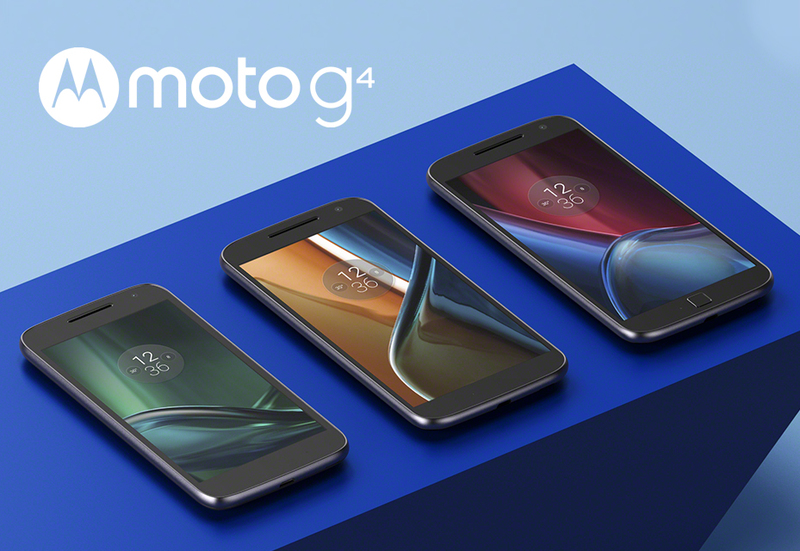 Find out more about the new Moto G range here.